It's awkward trying to meet people around you! The Humin™ team set out to build an app to make that first interaction easier, challenging me to design a dead-simple product for starting chats with people around you. Press Play on the video above to see our launch trailer, directed by Pablo Rochat. KNOCK, KNOCK! 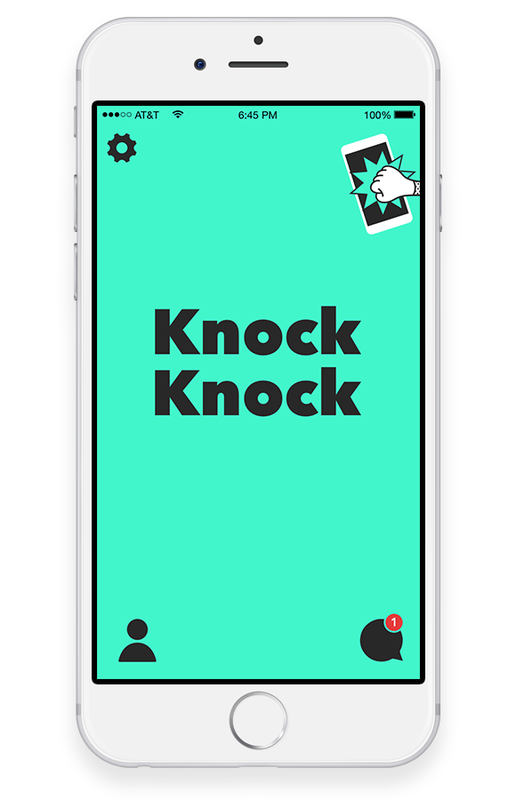 The entry screen of the app features a simple, animated prompt that guides users to knock twice on their phone screen. If they knock once or too slowly, the illustration in the top right comes to life & lends them a helping hand. Check out a screen recording of this is screen in action! WHO'S THERE? Knocking twice on the entry screen activates location beacons within nearby users' phones, arranging them based on general proximity. Tap people to add them to a new group chat, or press & hold to see their profile. PROFILES designed to break the ice. Who do you know in common? What are into? Before starting a conversation with someone, take a look at their bio or mutual friends and avoid the smalltalk! SHARE your bio & details. You are in charge of who gets your information. Want to stay in touch with a new colleague? Send your email address. A new friend? You can send everything from your Twitter handle, to Snapchat, LinkedIn, Facebook, Instagram, Pinterest, Skype, Vine, WeChat, WhatsApp, Kik, Foursquare, Youtube, Tumblr, Viber, SoundCloud, Flikr, Reddit, or Phone Number!